Over a quarter of young people are using social networking sites on their mobiles every day, a CCS Insight report has claimed. The growth in mobile internet usage is so strong, said the report, that operators are relying on it to fill revenue gaps as profit margins fall. CCS found that consumers are increasingly using the mobile internet as a force of habit, with one in five respondents admitting that they log on to their preferred social networking site ‘several times a day’. Facebook is still the star attraction of social networking on the mobile internet, with hits outnumbering Twitter, MySpace and Bebo combined. However, there is room for further improvement on overall mobile internet usage, with around a quarter of respondents still not using the internet on their mobiles at all. Mobile reported in November last year that internet usage of mobiles was up almost 50% within a year. The growth was attributed to the availability of cheaper unlimited data packages, faster network speeds and more browsing-friendly handsets. 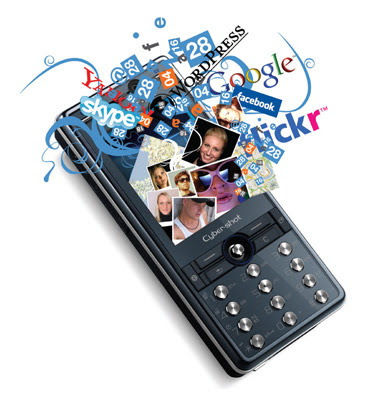 The CCS Insight ‘Report on Mobile Internet Usage 2009’ gathered the opinions of 1,000 people, aged between 16 and 35.